This adventure pairs one of the most popular snorkeling tours in Key West with an unforgettable dolphin-watching excursion! 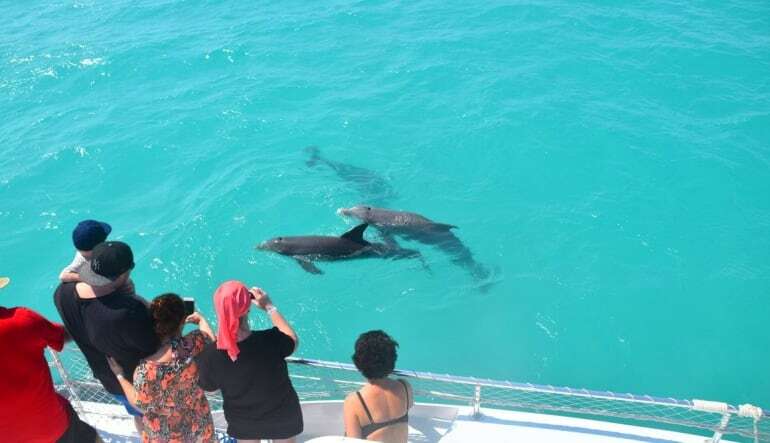 This adventure pairs one of the most popular snorkeling tours in Key West with an unforgettable dolphin-watching excursion! The big day starts aboard a stunning, 45-foot catamaran. With both upper and lower decks, the boat lets you take in the warm rays or lounge in the shade with a cold one. Drop anchor at Florida Keys Natural Marine Sanctuary and go snorkeling! Swim among colorful schools of angelfish, butterfly fish, live coral reefs and other marvels. Enjoying the eye candy? Just wait until the next leg of your journey… Cruising the tropical waters, you’ll watch in awe as dolphin pods frolic in their natural habitat! 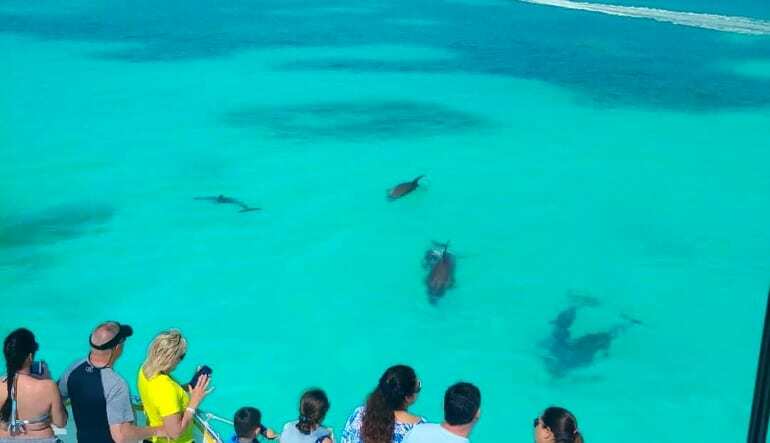 Take a 3-hour Florida Keys snorkeling and dolphin watching tour! Kick back on the upper or lower deck! Snorkel the living coral reefs at the Florida Keys Natural Marine Sanctuary! Hop back aboard and cruise the tropical waters on a dolphin sightseeing tour! Enjoy ice cold beers as you wave to your flippered friends. You’d be hard-pressed to find a more thrilling, fulfilling three hours in the Sunshine State. 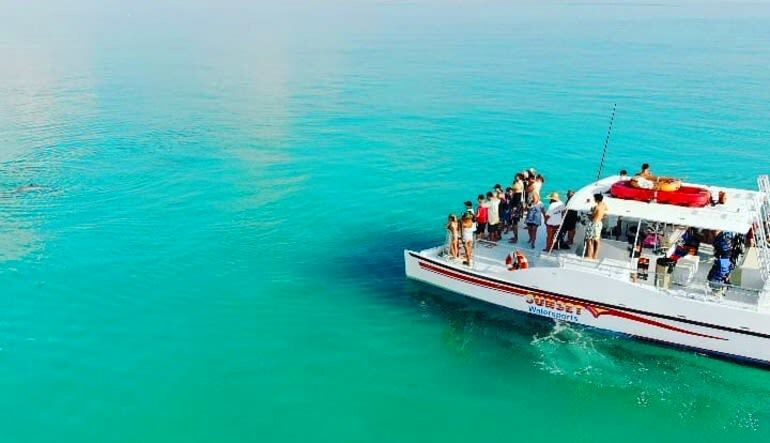 Book your spot aboard this luxury catamaran now! A couple of days after this trip, we took a glass-bottom boat tour, on which we saw only a fraction of what we saw with goggles and flippers. Simple is better.